Senckenberg scientists have sequenced the entire genomes of four bear species, making it now possible to analyze the evolutionary history of all bears at the genome level. It shows that gene flow, or gene exchange, between species by extensive hybridization, is possible between most bear species - not only polar and brown bear. 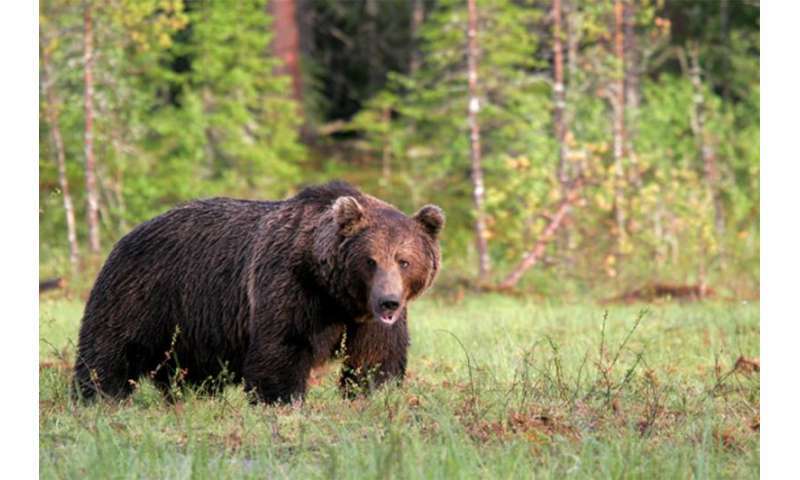 The DNA samples of different bear species came from different European zoos, underlining their importance not only for conservation, but also for research. The study published today in Scientific Reports also questions the existing species concept in general, because other genome studies too have, frequently found gene flow among species. Pizzly, grolars or "capuccino bears" are common names of the offspring resulting from the mating of grizzly bears (Ursus arctos) and polar bears (Ursus maritimus). "Such hybrids among bears are not as rare as we have hitherto assumed," says Prof. Dr. Axel Janke of the Senckenberg Biodiversity and Climate Research Center in Frankfurt. In a large-scale analysis, a team of scientists led by the German evolutionary geneticist has sequenced six complete bear genomes. Each genome is about 2.5 billion base pairs large. "With these new data of the sun bear, sloth bear, Asiatic black bear and spectacled bear, we now have the genomes of all known bear species," adds Janke. 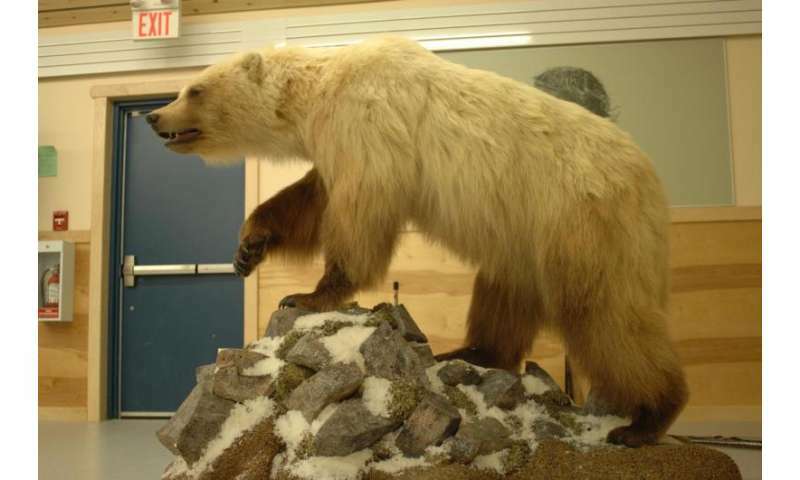 It has previously been assumed that the number of hybrids between polar and brown bears is increasing due to climate change, because brown bears invade northern regions and polar bears move onto the sea ice later than usual. The new results show however that an abundant flow of genes among different bear species occurred to a good deal in the past. Hybrids are thus not necessarily linked to climate change. "Bears can form hybrids in different combinations," explains Janke, and adds: "We knew this from zoos. In the wild, so far this was only observed for polar bears and brown bear as well as Asiatic black and sun bear." The new genomic data also show that there must have even been gene flow between the polar and sun bears. However, the two species live in geographically completely distinct areas and thus have never met. The researchers are able to explain this alleged contradiction by suggesting that an "intermediate host" or "vector species" has passed the genes on in various directions. The brown bear is an ideal candidate for this role as conveyor of genes: his geographic distribution overlaps with that of all other bear species and its genome contains polar bear genes. "By hybridization the brown bear could pass these polar bear genes on to other bear species in Asia," adds the Frankfurt scientist. The detected gene flow among bears also questions the basic biological concept of a species. The biological species definition assumes that different species cannot produce offspring in the wild or that hybrid offspring are sterile. The best-known example of this is the mule – a hybrid between a horse and a donkey. However, it has been observed that grolars, the hybrids between polar and grizzly bears, are often fertile. Janke: "We have to ask ourselves: Does the species concept still hold true, given there is evidence of gene flow not only in bears, but also in other animals? Therefore, what do we need to protect for the future – species or genomic diversity?" It is certain that the amazing progress of genomics and its technology will also question other fundamental principles of biology and fuel research. "Evolution creates genetic differences and adaptations, whether we call these differences species or not, is less important. What we must preserve, however, is genetic variation to protect diversity and to allow adaptation to future environmental changes," Janke states. Genomic diversity is what allows species to differentiate under the right circumstances.